Qatar Tourism Authority has appointed Hills Balfour to represent the destination in the UK. The Middle Eastern destination is aiming to grow its presence in the UK events market and currently hosts approximately 60 conferences a year. 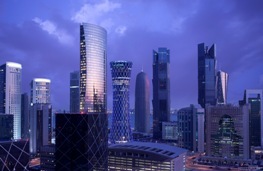 The launch of the new Doha Exhibition and Convention Centre, set to open in 2014, will boost the destination’s C&I appeal as it looks to establish itself as a business events hub. Qatar Tourism Authority chairman Ahmed Abdulla Al Nuami said: "Qatar has witnessed a significant increase in its profile following the decision in December 2010 by FIFA to base the 2022 World Cup in Qatar. We must now capitalise on this opportunity by establishing the country as a centre for leisure and business tourism. Our partnership with Hills Balfour is a very positive step towards this aim, as we look to grow this area of our national economy." Hills Balfour managing director Jonathan Sloan added: "Our partnership with Qatar comes at an exciting time as it looks to leverage its development pipeline including further luxury accommodation and a new convention centre. This will be complemented by diverse entertainment, sports and cultural offerings. As market leaders in the UK travel sector, we are perfectly placed to assist Qatar in the next stage of its development as a visitor hub for the UK market." Read C&IT's Venue Qatar guide here.